The Las Brisas apartments are around 600 metres from the small Tres Playas beach and 1.5 km from the beach at Playa Romana. 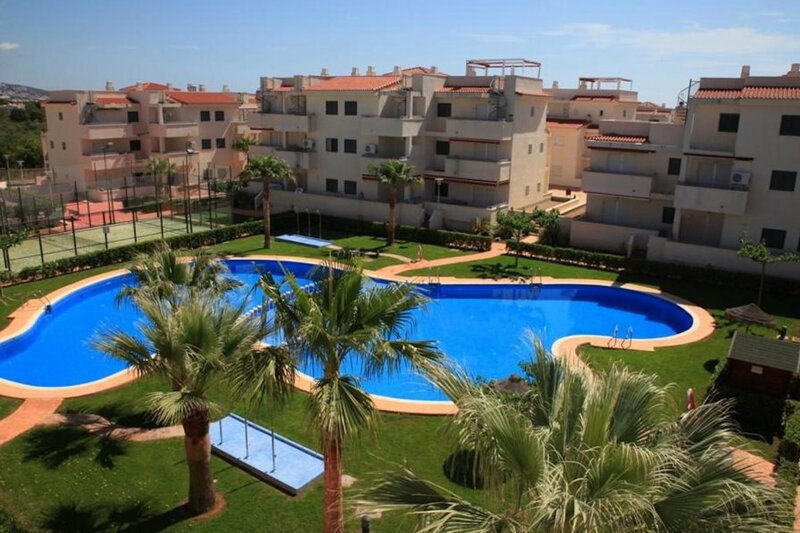 The apartments are 4 km from the seaside resort of Alcossebre. Las Brisas consists of two buildings, each with 3 floors. There is a large swimming pool with paddle lane. The apartment is on the ground floor, first or second floor. The apartments are well kept and sensibly furnished. They have their own balcony or terrace with garden furniture. Each apartment has air conditioning and its own parking space.